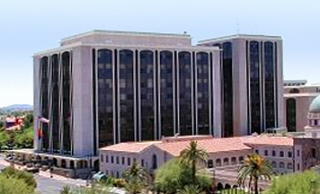 Arizona Judge Richard E. Gordon Threw the Minor v Happersett Claim Unceremoniously Out of His Courtroom. This is Part 5 of a series of articles. In the previous four parts, we ripped the birther claim regarding Minor v Happersett into little tiny pieces, looking at it from the points of view of its merits of legal precedent, the merits of the claim that the Court established a definition, the plain English of the claim, and the logic behind that plain English. For Part One, see here. In March 2012, the Arizona Superior Court, Pima County very specifically ruled that Minor v Happersett quite simply does not say what the birthers claim it says. That was a flat-out slapdown. At least NINE federal and state courts — not even counting US v Wong Kim Ark — have either found or stated that citizen parents are NOT required to make a natural born citizen, or have given examples of people who were “natural born citizens,” who clearly did NOT have two US citizen parents. At the same time, no court has ever ruled that two citizen parents are required. I’ve written an entire article on the recent Arizona ruling, here. Finally, This Brings Us to the 900-Pound Gorilla that Grinds Whatever Is Left of the Claim into a Fine Powder. The 900-pound gorilla is, of course, US v Wong Kim Ark. In that case, the United States Supreme Court found that a young man, born in San Francisco of two non-US-citizen Chinese parents, was both “a citizen” and “natural born.” And the Court’s statement that he was “natural born” were part of the core reasoning of the case, which ran to more than 50 pages. This being the case, it is US v Wong Kim Ark — not Minor v Happersett — that has established binding precedent regarding who is a natural born citizen. This brings us to the final point of this series: Even if Minor v Happersett had established such a precedent (which it didn’t) it would’ve been overruled by the later Wong Kim Ark case, which is the definitive ruling on the matter. I have a separate post that makes plain that United States v Wong Kim Ark is the Supreme Court case that decided the matter. 14 Responses to At Least One Court Has Very Specifically Ruled that Minor v Happersett Says No Such Thing as What Birthers Claim. “This entire analysis is based on the idea that a person would only put a birth certificate into a typewriter once, and that hence the type would line up. Many, many Conservatives are immune to Birtheritis, and see right through these preposterous claims… like, for example, every Conservative I personally know. That’s what makes Birther-Watching the fun sport that it is! Pass this Liberal some popcorn, quick, before Orly testifies again! Like every other claim of “proof of forgery,” it’s absolute nonsense. I personally gridded-off the entire birth certificate last summer. I did so using the AP image as my source, but I also overlaid the Guthrie photograph, and every character is identically placed. In real life, the two things shown as “misaligned” line up. This is because the typist — probably because she or he wanted to verify the spelling of the baby’s name — typed that information first, and then either removed the paper or released the platen and readjusted the form to go back and begin with the baby’s name. I was hoping that you could put that post on this site. Smrstrauss seems to be struggling with the forgery claim. Where exactly to you want me to post it? Sorry. It looks like they are not taking comments anymore, and they removed smrstrauss’s posts. Why did they remove smrstrauss’s posts? Mario finally had a case heard directly on the merits of his two citizen parent theory in New Jersey yesterday and lost. http://www.conservativenewsandviews.com/2012/04/10/constitution/obama-eligibility-nj-alj-ducks-issues/ I can’t imagine why anyone would be shocked at the decision. John, this is a very enjoyable series of articles on natural born citizenship. I am glad you decided to “come out of retirement” to write them. I’m looking forward to seeing the actual ruling by the judge in New Jersey. I’ve responded to some new info (new to me, at least) from Tracy Fair’s petition in Maryland, and that’s up now as a new post. Hopefully this “return from retirement” won’t involve too much more. I’m continuing to shut down comments on some of the older posts on the blog. I do have at least one other post in mind, though. Congratulations on another cleanly-written and closely-argued essay, Mr. Woodman. But as to the Carroll County Bar Association clerk’s assertion that Tracy Fair is mentally ill… it is easy to see why she thought so. While I agree that she is in all likelihood not actually clinically insane, the depth of dishonesty evinced by the far-fetched claims she has adopted could certainly make one wonder about her mental rectitude. And the arrogant attitude she displayed when asserting that you needed to be “educated” was probably all too obvious to the Bar Association clerk as well. Add in the degree to which her crusade requires ignoring facts so evident even to other Conservatives, and the clerk’s assessment of Ms. Fair as a “nut case” doesn’t seem all that far off, IMHO. It will be a sad day when you retire from this struggle in the cause of verifiable reality, but it seems your series of essays will soon exhaust the concerns of the Birther crowd, and there will really be little left to do. There is so much more I could write. But it all takes time. Just from today I have ideas for three articles: one noting the New Jersey ruling, one on the Civil Rights Act of 1866, one on the “usurper” Chester A Arthur. Which of those (if any) I’ll actually write, I don’t know. And yes, I would of course like to leave the site up. You are absolutely correct. Thanks! I had forgotten about Tisdale. I’ll add it immediately. We’re up to nine courts. I’ve added Lynch v Clarke, New York, 1844.